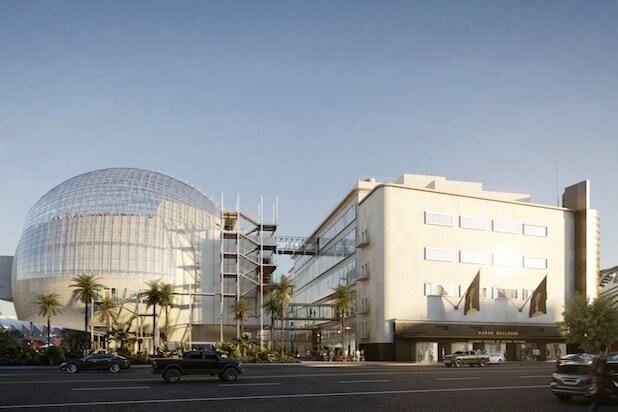 The Academy of Motion Picture Arts and Sciences has named 12 people to the Board of Trustees that will oversee its Academy Museum of Motion Pictures. NBCUniversal Vice Chairman Ron Meyer will head the board. Other members include actor Tom Hanks, producers Kathleen Kennedy, Jason Blum and Kimberly Steward, executives Jim Gianopulos, Alejandro Ramirez Mangana, Ted Sarandos and Kevin Yeaman, fashion designer Diane von Furstenberg, cinematographer (and Academy president) John Bailey and Academy CEO Dawn Hudson. The new board will assume oversight of the elaborate and expensive museum project, which had previously been under the aegis of the Academy’s Board of Governors. According to an Academy press release announcing the board, the number of members will continue to grow. Construction is currently underway at the former May Company building adjacent to the Los Angeles County Museum of Art on Wilshire Blvd. in Los Angeles, with the museum projected to open in 2019. The Academy has raised about $300 million of its target of $388 million. The Academy has been planning a museum project for decades. After the turn of the century, it moved forward with plans to build a museum on Vine St. in Hollywood, acquiring property next to the Academy’s Pickford Center for Motion Picture Study. That idea was killed when fundraising dried up following the 2008 crash. In October 2011, the AMPAS Board of Governors approved a deal for the LACMA property, which seemed to be a cost-saving compromise because it could make use of an existing building rather than creating a new structure from scratch. But rising costs, unforeseen delays and the complexity of architect Renzo Piano’s design, which called for an entirely new, dome-like structure adjoining the old May Co. building, increased costs and delayed what was originally projected to be a late-2017 opening. Ron Meyer (Chair) is Vice Chairman of NBCUniversal and with 23 years as the head of the studio, he is the longest serving studio chief. He provides strategic guidance and counsel on all aspects of the company, including its valuable portfolio of film and television assets, as well as the global theme park businesses. He is also a co-founder and former President of Creative Artists Agency. Previously, he served as the President and CEO of Universal Studios (formerly MCA), a position he held from 1995 through 2013. John Bailey is an American cinematographer and film director, elected in August 2017 as President of the Academy of Motion Picture Arts and Sciences. He earned his first credit as director of photography for “Boulevard Nights” (1979), which was followed by “Ordinary People” (1980), “American Gigolo” (1980), “The Big Chill” (1983), “Groundhog Day” (1993), “As Good as It Gets” (1997), “The Anniversary Party” (2001), “The Way Way Back” (2013), “A Walk in the Woods” (2015), and many more. In 2014 he received the American Society of Cinematographers Lifetime Achievement Award. Jason Blum (Treasurer), founder of Blumhouse Productions, is an Oscar®-nominated and two-time Emmy and Peabody Award-winning producer. Specializing in low-budget films, Blumhouse has produced the highly-profitable “The Purge,” “Sinister,” “Paranormal Activity” and “Insidious” franchises, along with the 2017 blockbusters “Split” (2016) and “Get Out” (2017). Additional credits include “Whiplash” (2014), “The Normal Heart” (2014) and “The Jinx” (2015). Blum serves on the Board of Trustees for Vassar College, the Board of the Public Theater and is a member of the Sundance Institute’s Director’s Advisory Group. Jim Gianopulos is the Chairman and CEO of Paramount Pictures where he oversees the studio’s film and television operations worldwide, including production, marketing and distribution. He previously headed 20th Century Fox. He sits on the Boards of the Academy of Motion Picture Arts and Sciences, where he serves as Treasurer, the Motion Picture & Television Fund, and the X Prize Foundation. He is a member of the Board of Councilors of the University of Southern California of the Cinematic Arts. Tom Hanks is a five-time Oscar-nominated actor and filmmaker known for his various film roles including “Big” (1988, nominated for Best Actor in a Leading Role), “Philadelphia” (1993, won for Best Actor in a Leading Role), “Forrest Gump” (1994, won for Best Actor in a Leading Role), “Saving Private Ryan” (1998, nominated for Best Actor in a Leading Role), “Cast Away” (2000, nominated for Best Actor in a Leading Role), and many more. In 2016 he received the Presidential Medal of Freedom. His book, The New York Times bestselling “Uncommon Type” — inspired by his collection of vintage typewriters — was published in 2017. He is co-chair of the Academy Museum’s Capital Campaign. Dawn Hudson has served as the CEO of the Academy of Motion Picture Arts and Sciences since 2011. As CEO, Hudson directs all of the Academy’s efforts across a broad spectrum of activity that includes education, outreach, research, and preservation programs. In this capacity, she also oversees the Oscars®, and supervises the Academy’s staff of more than 350 employees. Under Hudson’s leadership, the Academy has been at the forefront of shaping diversity and inclusion efforts industry-wide. 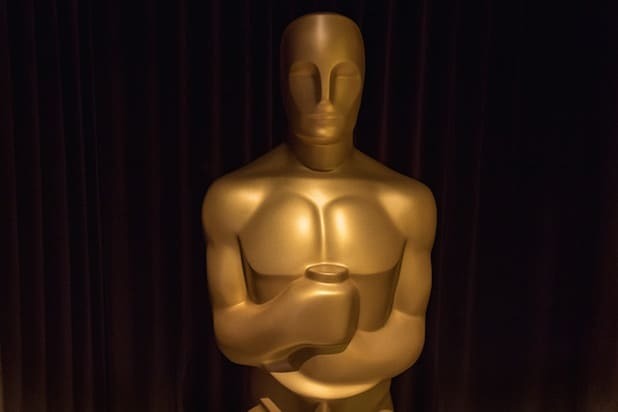 The Academy has implemented strategies to modernize its business practices, including digitizing its unparalleled archival collections, and connecting its more than 8,000 global filmmakers and artists. For more than 20 years, Hudson worked as Executive Director of Film Independent, an organization dedicated to supporting independent film, which grew from a small non-profit into a nationally recognized arts institution under her leadership. Kathleen Kennedy has produced over 70 feature films and is the eight-time Oscar-nominated producer of “E.T. the Extra-Terrestrial” (1982), “The Color Purple” (1985), “The Sixth Sense” (1999), “Seabiscuit” (2003), “Munich” (2005), “The Curious Case of Benjamin Button” (2008), “War Horse” (2011) and “Lincoln” (2012). Kennedy is currently the President of Lucasfilm, which includes film, television, visual effects, sound design, games, consumer products, and virtual and augmented reality. In addition, she oversees the Star Wars franchise and produces Lucasfilm’s feature films including the upcoming “Indiana Jones” and “Star Wars” movies. Prior to Lucasfilm, Kennedy co-founded Amblin Entertainment with Steven Spielberg and her husband Frank Marshall. Alejandro Ramírez Magaña is CEO of Cinépolis, one of the largest film exhibition companies in the world with operations in Mexico, Brazil, Spain, India, the United States, Argentina, Colombia, Chile, Peru, and Central America. He served as Mexico’s representative to the Organization for Economic Cooperation and Development (OECD) and as technical secretary of the Social Cabinet in the executive office of the president of Mexico. He is chairman of the Mexican Business Council, the most influential business organization in Mexico and the Morelia International Film Festival. He serves on the boards of the Sundance Institute and the Harvard Board of Overseers. Ted Sarandos (Vice-Chair) has been the Chief Content Officer at Netflix since 2000. With more than 20 years’ experience in the home entertainment business, he led the transformation of Netflix into an original content powerhouse, redefining how serialized television is produced, released, and distributed globally. Sarandos is a Henry Crown Fellow at the Aspen Institute and serves on the board of Exploring the Arts, a non-profit focused on arts in schools as well as on the boards for the Tribeca Film Festival, Los Angeles Film Festival, the American Cinematheque, American Film Institute, and the Academy of Television Arts & Sciences. Kimberly Steward (Secretary) is an entrepreneur, philanthropist, and producer. In 2013 she formed K Period Media, whose releases include the noted documentaries “Opposite Field” (2012), “Through a Lens Darkly: Black Photographers and the Emergence of a People” (2015) and the forthcoming “Looking for Terry and Conversion.” In 2016, K Period Media released “Manchester by the Sea” in partnership with Amazon Studios. The film won three Oscars and was nominated for Best Picture, making Steward only the second black woman to have her film nominated for this award. Steward is hands-on in her support of charities such as The Elizabeth Taylor Foundation, Fresh Air Fund, and Charlize Theron Africa Outreach Foundation. A patron of the arts, Steward also gives to AFI, LACMA, New York City Ballet, and the Geffen Playhouse. Diane von Furstenberg entered the world of American fashion in the seventies. Her iconic wrap dress soon became a symbol of power and independence for an entire generation of women. Diane’s commitment to empowering women is also expressed through philanthropy and mentorship. In 2010, with the Diller-von Furstenberg Family Foundation, she established the DVF Awards to honor and provide grants to women who have displayed leadership, strength, and courage in their commitment to their causes. She serves on the boards of Vital Voices; the Statue of Liberty-Ellis Island Foundation; and The Shed, the new center for cultural innovation in New York City. She was actively involved in the campaign to save the historic High Line railway and to develop the High Line into what it is today. Kevin Yeaman is President and Chief Executive Officer of Dolby Laboratories. Under his leadership, the company has built on its rich heritage of technologies that transform storytelling, expanding its focus to produce new sight and sound experiences that unleash the potential of entertainment and communications. Before being named CEO in 2009, Kevin served as Dolby’s Chief Financial Officer, developing the financial infrastructure to support growth and expansion. Prior to Dolby, Kevin was the Chief Financial Officer of E.piphany and Vice President of Worldwide Field Operations at Informix. Kevin was inducted as a member of the Academy of Motion Picture Arts and Sciences in 2014. He holds a BS degree in commerce from Santa Clara University. A new crop of Hollywood talent joins the prestigious film academy — an over 7,000 person group that votes on the annuals Oscars.